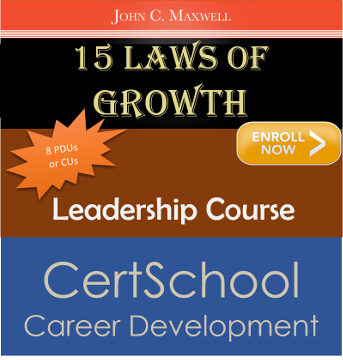 A course designed based on John Maxwell: The 15 Invaluable Laws of Growth – to help you reach your peak potential. 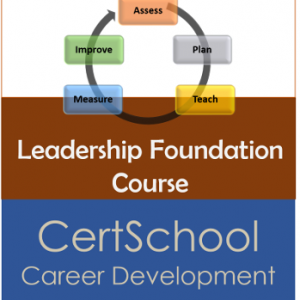 Register for CertSchool Leadership, online class for an intensive look at the essential principles to accelerate your potential to grow. 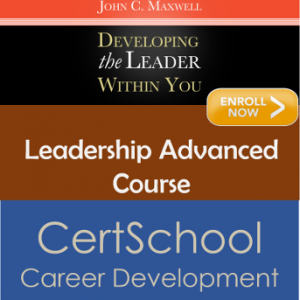 This online class is an immersive experience into The 15 Invaluable Laws of Growth and explores the foundational principles that guide successful people. Have a plan to become better. Don’t just be busy because hard work doesn’t guarantee success. Focus on growing not only on goals! It’s hard to improve your circumstances, if you’re unwilling to improve yourself. People don’t reach their potential because of low self-esteem. Motivation gets you going, discipline keeps you going. If you’re always at the head of the class, you are in the wrong class! Change your environment and move to a larger pond. Change depends on your choices. Impossible to grow without changing. Change your attitude. 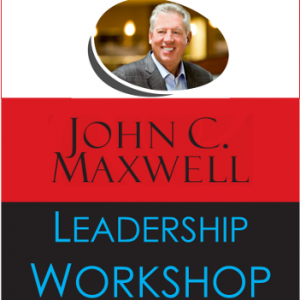 Good management of bad experiences leads to greater growth. Every problem introduces an opportunity to improve yourself. Character growth determines the height of your personal success. Focus more on character than on competence. Need to keep band stretched from where you are to where you want to be. Need to give up some things you value to grow up. Read and summarize action points of books that interest you – take action on what you learn as fast as possible. Potential within us is limitless – we usually create our own limits. Growing yourself enables you to grow others. Help others because we are all one. Put people first in your life – where are they on your list of goals? Do something great for your growth. My name’s Aditya Project Leadership Coach, and I’m your friend. You want to live a life that matters. You're ready to go the journey, but every new adventure needs a trustworthy coach/guide. Everybody needs a friend to go with them and a mentor to show the way. Let's go the journey together.